Also free is Cannes Cinephiles showing films at four cinemas in Cannes. Pop into the Cannes Cinephiles' tent on the Pantiero between 9am and 5.30pm to secure your ticket. Two giant screens in town show highlights of the festival including press conferences, photocalls and the stars ascending the red carpet. There is a fireworks display 10pm Tuesday May 15 and a fun game of petanque in Les Allees with celebrities 11am May. 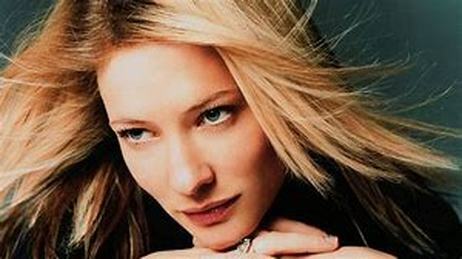 Australian Cate Blanchett is one of the most highly award -nominated and winning actresses. She has won two Oscars, three Golden Globes and three Bafta's. ​She is one of the stars who recently launched the Time's Up campaign tackling sexual harassment in the workplace. Cate is only the third female jury president in the last 10 years. She says: "I have been to Cannes in many guises over the years - as an actress, producer, in the marketplace, the Gala-sphere and in competition but never solely for the sheer pleasure of watching the cornucopia of films this great festival harbours". 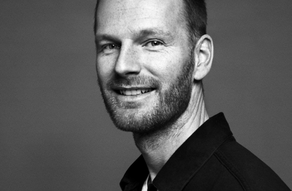 Edouard Baer will host the opening and closing ceremonies of the 71st Cannes Film Festival. To great acclaim, he has performed this role twice before - in 2008 and 2009. 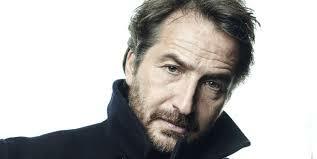 He is a well known French actor, director, producer and writer. He also hosts radio and TV shows. 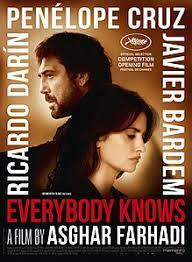 Iranian director Ashar Farhadi's latest film Everybody Knows​ is the opening film and is also in competition for the Palme d'Or. This psychological thriller starring Penelope Cruz was shot in Spain, entirely in Spanish. Two of Farhadi's previous films The Post (2013) and The Salesman (2016) won awards at Cannes. The latter also won an Oscar for best foreign film. 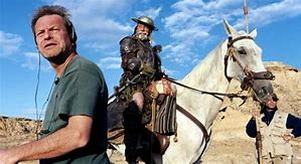 THE MAN WHO KILLED DON QUIXOTE by Terry Gilliam, with Adam Driver, Jonathan Pryce and Olga Kurylenko. The screening takes place on Saturday 19 May after the closing ceremony. It will be released in France on the same day. GOSSIP - Selfies by the public with celebrities on the red carpet are to be banned at this year's film festival. Other changes include no previews of films in competition for the journalists who must now all wait for the official showing... but not all get tickets for the event. There will be a debate on women in the film industry - really original. And Netflix can only show its films out of competition as it is an online film maker - only films to be shown in cinemas can be in competition. So of course it will not be coming to Cannes. Penelope Cruz, Emilia Clarke, Jeremy Irons and Marion Cotillard among others. 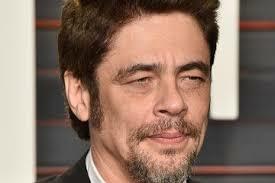 No stranger to Cannes, he won best actor in 2008 for Che Guevara. Sicaro was in competition in 2015. 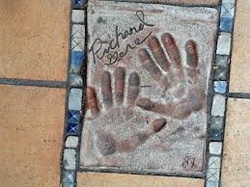 Several of his films have been shown in Special Screenings including Usual Suspects and The Pledge. At just 49 years of age he is considered one of the great modern French film directors: individualistic and iconoclastic. ​His first film, Quelque chose d'organique, appeared in 1998 and is now considered unique in its genre. Several of his films have been shown in competition in Cannes: Tiresia (2003), L'Apollonide - Souvenirs de la maison close (2011) and Saint Laurent (2014). He has seven feature films and eight short films to his credit to date. 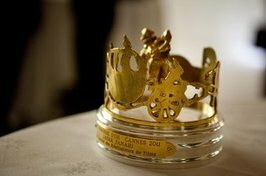 ​The Caméra d’Or, created in 1978, is awarded to the director of the best first film presented in the Official Selection - In Competition, Out of Competition and Un Certain Regard, as well as the Critics' Week and the Directors’ Fortnight. 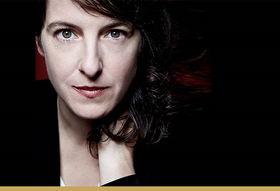 This year's jury president is Swiss filmmaker Ursula Meier, one of the new generation in the industry. Her work includes five short films, two works for television, two documentaries and two feature films for cinema. Since 1994, Ursula Meier has compiled a bold cinematography that emphasises the complexity of the world. The Caméra d’Or boosts a film-maker’s career offering him/her a high profile and international opportunities. ​Jim Jarmusch, Mira Nair, Naomi Kawase, Bahman Ghobadi and Steve McQueen have received this award in the past. Cannes Classics presents old established feature films and masterpieces from the history of film in restored prints at the Palais des Festivals and Cinema de la Plage. In addition it features documentaries on the history of cinema. Jane Fonda in Five Acts by Susan Lacy (USA) Jane’s Fonda’s film career, her place in the history of the twentieth century, her relationship with the men in her life. This year some of the films will be presented by the stars associated with them. Be there! Classic films shown on the Mace beach at 9.30pm, free. You just turn up - first come first seated on the deckchairs. 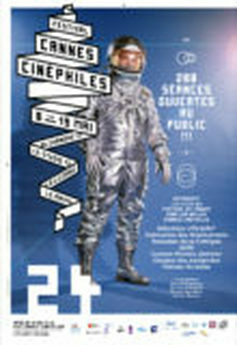 The organisation, Cannes Cinephiles, shows a selection of films from the Festival and its fringe at four venues in non central locations: La Licorne, Studio 13, Raimu and Theatre Alexandre lll. It also shows films from Australia, New Zealand and Indonesia as its contribution to the fringe. Last year only 21 of the 155 showings were full. So don't be afraid - reserve your place. 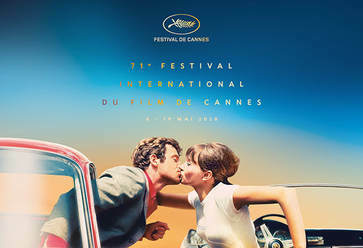 You can buy an individual ticket (7 euros) or a pass (30 euros) for festival showings from the headquarters at Malmaison on the Croisette or the Cinephile tent or via its website. You have to buy daily tickets on the day of the showing. 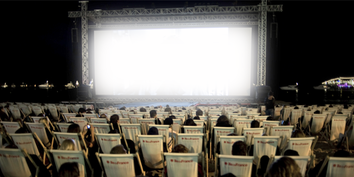 Full length feature films are shown at The Croisette Theatre. The full screening programme can be downloaded from www.quinzaine-realisateurs.com The organisation is celebrating its fiftieth anniversary at Cannes this year. Last year it is went to 59-year-old Finnish director Aki Kaurismaki. 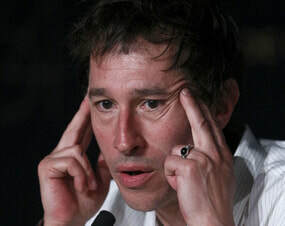 In 2002 he was awarded the Grand Prix at Cannes for his film The Man without a Past. The Carrosse d'Or is a bronze statuette inspired by the figures of the Comedia dell'Arte and Jean Renoir's film of the same name – it was created by painter-sculptor Lili Legouvello. This year's official poster is taken from Jean-Luc Godard’s Pierrot le fou (1965) - featuring Jean Paul Belmondo and Anna Karina - and is inspired by the work of Georges Pierre (1927-2003): a photographer who immortalised the shooting of over a hundred films in a 30-year career. The poster itself is the work of graphic designer Flore Maquin. Tickets are limited and entry to the viewings is not guaranteed as badged festival-goers have priority, usually though everyone gets in. Best to arrive early. Sixty meters of red carpet are used to cover the famous 24 steps at the Palais des Festivals. The carpet is changed three times a day during the festival and a total of 2km is used. It is during the Cannes film festival that Nadine Seul chases after the biggest star names in the world to ask them for their hand prints - must make a change from autograph hunters. About 375 hand prints have been taken since 1983. The stars press one or both hands into a block of clay. This is sent to a potter in Vallauris who makes a plaster mould which, in turn, goes to a foundry in the Rhone. The mould and the shiny new stainless steel handprint then return to Cannes: the mould to the bowels of the Palais des Festivals and the hand print to the Allee des Etoiles which snakes around the Palais. Along the coast you will find silhouette cut outs of your favourite stars for that ultimate photo opportunity. Locations: allées de La Liberté ; gare maritime ; Vieux port (opposite Hôtel de Ville) ; end of quai Saint-Pierre ; l’Office du tourisme, avenue Francis Tonner, Cannes La Bocca ; square Reynaldo Hahn at 10 boulevard Jean Hibert ; place du Général de Gaulle ; Palais des festivals garden ; la Roseraie gardens ; la Croisette ; boulevard du Midi Louise Moreau. Large photographs of the stars appear on walls throughout the town and across the rue d'Antibes. . Try and identify the stars as you walk around. This year the theme is Cinema and TV Series. The photohgraphs are supplied this year by Paris Match. ​Rue d’Antibes Photos: Daniel Gélin, Brigitte Bardot et Etchika Choureau; Zabou Breitman; Niels Arestrup; Audrey Fleurot; Céline Sallette; Nicole Kidman; Martin Sheen; Sharon Stone; Will Smith; Isabella Rossellini & Elettra Wiedemann-Rossellini. 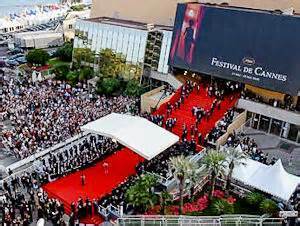 Les Arcades Carole Bouquet; Cannes La Bocca Clovis Cornilla; Gare de Cannes Susan Sarandon. 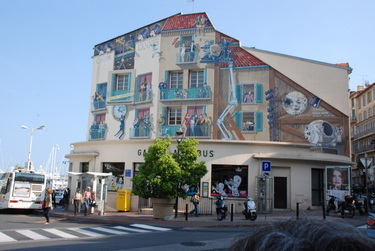 Take a tour round Cannes to see all the film murals - there are 16 in total. This one is at the bus station and celebrated 100 years of cinema: can you spot Mickey Mouse, R2-D2 and Batman? The Palme d'Or is worth about 20,000 euros and the 19 leafed palm is made from 118 grammes of pure gold. It is attached to a block of crystal. Each piece is unique as the crystal can be of a slightly different hue each year. Two are made, as well as two mini Palme d'Or, for each festival by five of Chopard's top jewellers in Geneva. These same artisans produce the "red carpet" range of jewellery worn by the stars each evening. The mini palm d'ors are for the best actor and actress awards. 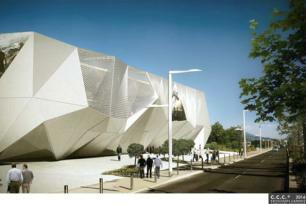 It has been designed by architect Rudy Ricciotti and will have seats for 2,426 people in 12 cinemas. The chef of the Palme d'Or restaurant in the Martinez Hotel prepares a film themed menu for the jury's first meal together. 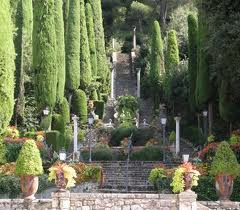 The tourist authorities produce a brochure featuring film tours on the Cote d'Azur to see where great movies were made. The wonderful Villa Domergue (below) is at the disposal of the jury during the Festival.